Gas stations display the price of gasoline in Englewood, N.J., on April 30. President Trump announced on Tuesday that he would withdraw from the Iran nuclear deal. 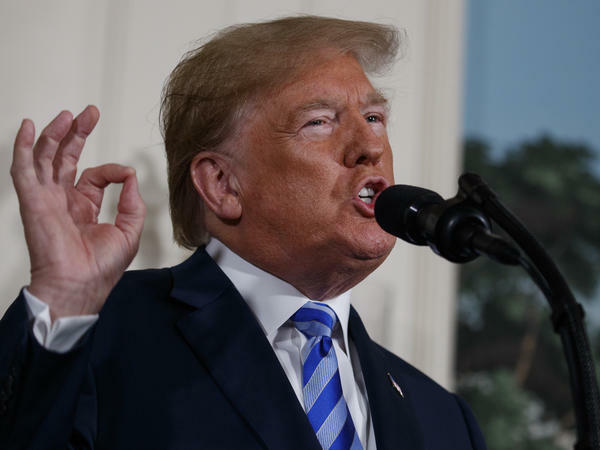 Trump's decision could eventually mean less oil on the world market from Iran because now the U.S. will reimpose economic sanctions on Iran that were lifted as part of the 2015 deal. "We will be instituting the highest level of economic sanctions," Trump said. Other nations that do business with Iran also could face U.S. sanctions. The Treasury Department issued guidance on how the sanctions will be reimposed. For oil and other petroleum products there will be a 180-day period in which people doing business with Iran will be able to wind down those operations before facing penalties. In the meantime, Tom Kloza with Oil Price Information Service says there are other factors pushing up prices including uncertainties around elections this month in Iraq, Lebanon and Venezuela. On Monday, U.S. crude reached $70 a barrel for the first time since November 2014. Anticipation of Trump's announcement was one reason, but traders also were watching for potential supply disruptions, such as reports that ConocoPhillips is trying to seize assets owned by Venezuela's state-owned oil company to satisfy an earlier arbitration award. Kloza says the biggest reason prices are up now is that supply and demand are tightening. "You're going to pay more because the rest of the world is seeing this burst in demand for transportation fuels," he says. Economies across the globe are booming, which means people are driving more, he adds. At the same time the OPEC oil cartel and other oil-producing countries — notably Russia — have agreed to restrict production to boost prices. And it seems to be working. 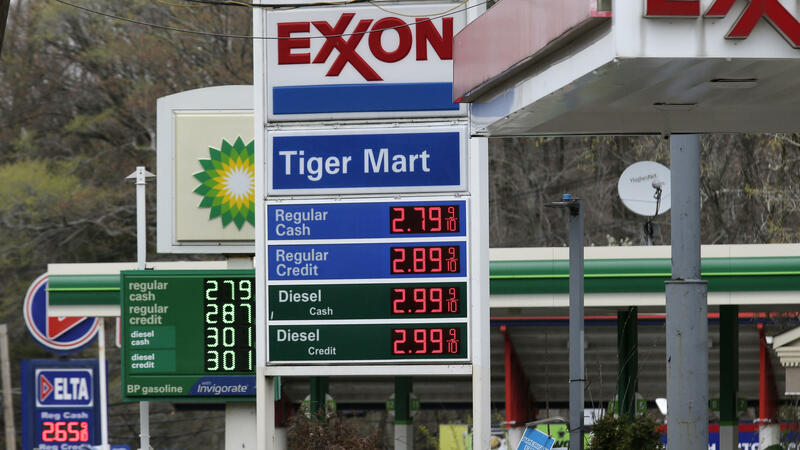 The U.S. Energy Information Administration projects gas prices will rise even further over the summer driving season to a national average of $2.90 a gallon for regular. "The average family out there can expect to pay about $200 more than they paid last driving season and about $250 more than the 2016 driving season," says Kloza. But Kloza sees relief in the future because oil production is booming in the U.S. The EIA projects domestic crude production will rise to nearly 12 million barrels a day in 2019 — that's a million more barrels of oil a day than the country is expected to produce this year.